The Khamok or Anandalahori is a small drum-like instrument. It is a kind of chordophone widely used by the people of rural West Bengal and Bangladesh as an accompaniment to Baul, Bhatiali or devotional songs. 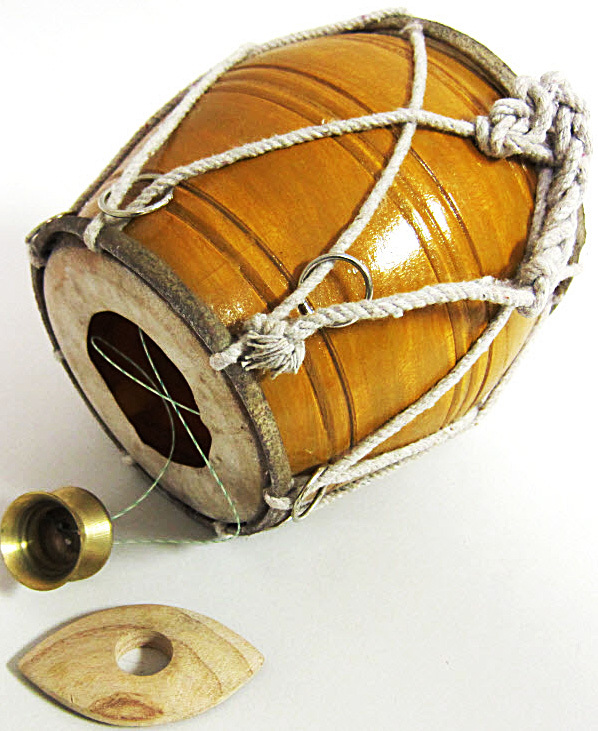 The instrument is also used in other parts of India : for example, in Maharashtra it is known as Katho.  Mention of the Khamok can be found in medieval texts like Mukundaram’s Chandimangal. The instrument is a hollow wooden inverted one-sided drum, about six inches or so in diameter and seven inches high. The drum head, sheathed with animal hide, forms the base of the instrument. Through its centre, two lengths of string, gut or wire are drawn, after being secured to the outside of the head. Passing through the inside of the resonator, they are tied to a tiny cup-shaped brass cymbal or sometimes, a handle of wood on the other end, well outside the open rim of the drum. The top end of the Khamok is open but also partially edged with animal hide. To play the instrument, the drum is held under the left arm-pit and the handle or cymbal held in the left fist. The strings, stretched by tugging on the handle almost imperceptibly, are struck with a plectrum held in the right hand. The plectrum is made of buffalo horn or coconut shell or wood or even plastic. Because of the unusual melodic and rhythmic gub-gub sound that is produced, the Khamok is also locally referred to as a Gubgubi. A wide range of pitches and swoops can be created by adjusting the tension on the strings. By tautening or slackening them, a most interesting variety of melodic sounds can be created. The name Anandalahori signifies waves (lahar) of melody and rhythm that give joy (ananda).